Waterfront homes can feel like the unattainable American dream. Oftentimes when a family wants a second property — or an alternative to their too-fast-paced lifestyle — they look to the water for a bit of breathing room. The views are always spectacular, outdoor activities are abundant, and the lifestyle is laid-back. But high price points can put waterfront homes out of reach for all but the 1 percent. 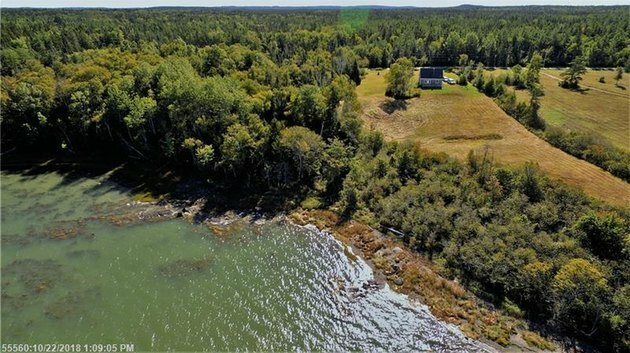 As it turns out, there are some waterfront bargains to be found if you're willing to do a bit of hunting. We discovered seven dreamy retreats across America — all $400k or less. "Honey, don't you think it's time we escape to our cabin in Alaska for a little alone time?" This one-bedroom, one-bathroom cabin is a genre we call "romantic rustic." Cuddle up on the wrap-around deck to watch the sun rise and set over the North Lynn Canal with views of the Chilkoot Mountain Range. Large windows provide gorgeous natural light when it's too chilly to be outdoors (cue large fire and red wine). You hear that? It's the sound of Lake Huron whispering your name, mere steps from this recently renovated three-bedroom, two-bathroom cottage. French doors open from the dining room to make summer dinner parties a breeze, and lake-view decks are ideal for sunset happy hours. Other perks: a fenced-in yard for dogs, a shed for storage, and a limestone fireplace with a wood-burning insert — making it a toasty winter retreat. So fresh and so clean, y'all. 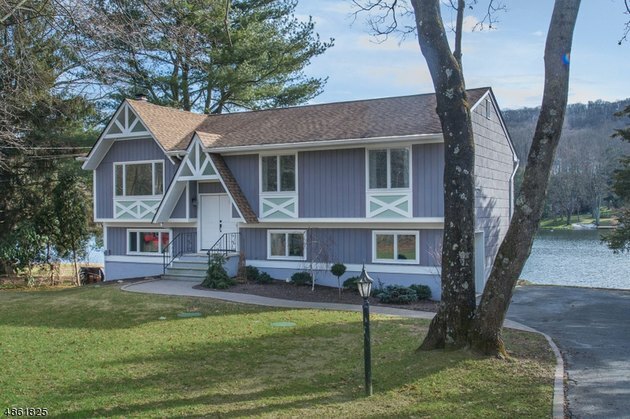 This newly remodeled Southern dream home on Lake Harding has it all: gorgeous views and decks that lead straight to lake, a spacious floor plan that's great for entertaining, and a boat house for your next big purchase. Maybe our favorite feature: a master bedroom and bath that open straight to the deck for incoming swimmers. 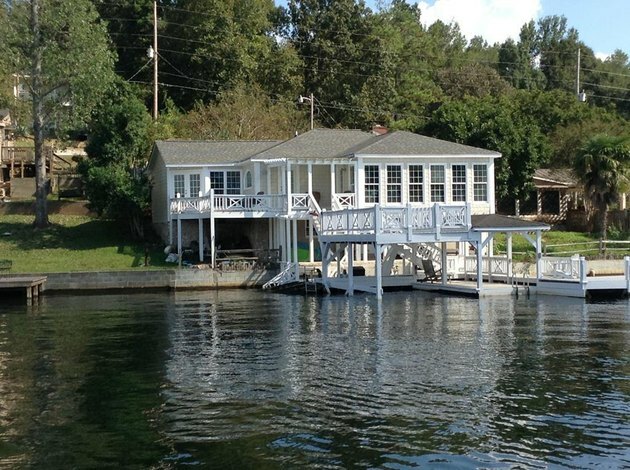 Head west out of Manhattan and drive a little over an hour until you get to a place literally called Lake Tranquility. This newly renovated three-bedroom, three-bathroom home features beautiful floors and a modern kitchen with double ovens and a farmhouse sink. In winter, watch movies next to the wood-burning fireplace and spend your summers playing lawn games and taking dips in the lake. Take a short stroll down the front path from this home and you'll be face to face with the Pacific Ocean. Located on the Long Beach Peninsula of Washington (about halfway between Seattle and Portland), this two-bedroom, two-bathroom home offers a continuous flow between indoors and outdoors. Large windows, tons of deck space, and a charming cedar exterior make it extra special. If the idea of grilling fish for dinner caught off your private dock appeals to you, take a look at this retreat in the Outer Banks. Located in a gated community, the three-bedroom, two-bathroom home comes with an outdoor shower, fenced-in yard, and furnishings. Another perk of this beach house in the South? 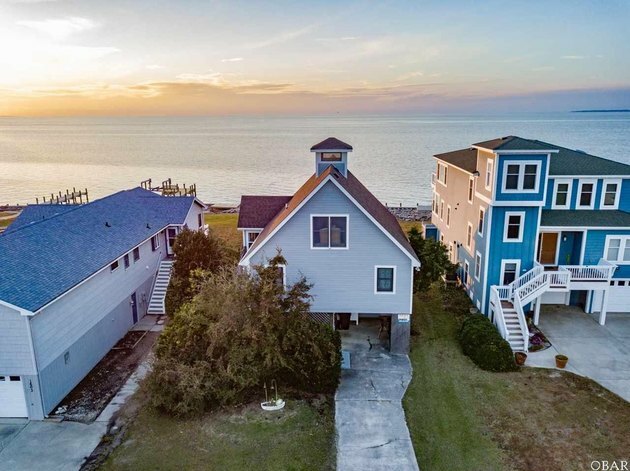 You can sit outside nearly all year long to drink cocktails and admire the view of the Albemarle Sound. Maine cottages just don't get any damn cuter than this. Located just 30 miles south of the Canadian border, it's a bit of hike to get to — but one that's clearly worth it. 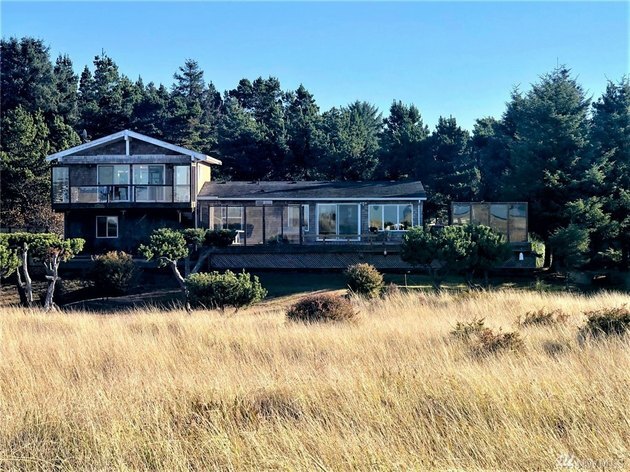 Nestled on four acres with a large front lawn that dramatically slopes down to the ocean below, this little 720-square-foot home has one insulated bedroom and bathroom downstairs with another 300-plus square feet of accessible upstairs space.